Interest in Helping Hospital and Hospice Patients Sleep? 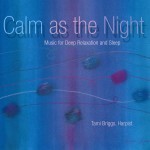 Several years ago, we created the CD called “Calm as the Night” for sleep. After receiving many requests to add video to it, we are excited to let you know, it is finished and ready to be licensed/broadcasted in healthcare facilities across the country! Please use the contact form below to let us know if you are interested in reviewing a DVD demo. Looking forward to working together to help patients deeply relax and sleep … sweet dreams! Music is your own experience, your thoughts, your wisdom. If you don’t live it, it won’t come out your horn.